Probably one of the most important sites in Egyptian History and also one of the least well known, Deir el-Ballas was the forward capital of the Theban kings during their drive to expel the Hyksos invaders in the north and reunite the land founding the glorious New Kingdom three thousand, five hundred years ago. 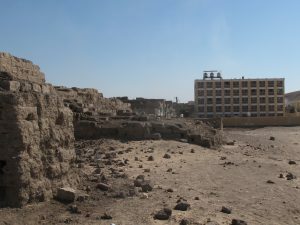 Our fieldwork at Deir el-Ballas is critically important as the site is in danger of destruction by the neighboring modern community. 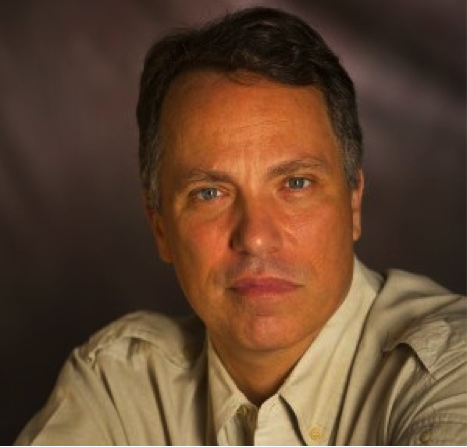 The site was first excavated by George Andrew Reisner working for the Hearst Expedition of the University of California, Berkeley in the years 1900-1901, but never published and was long forgotten. In order to clarify the records of the original expedition and enable the eventual publication of the site, four seasons of survey and clearance were undertaken in 1980, 1983, 1984 and 1986 by Peter Lacovara under the sponsorship of the American Research Center and the Museum of Fine Arts, Boston. At the request of Mustafa Waziri, then Chief Inspector of the Antiquities of Qena, we went back to the site which was in danger from the expansion of the modern town. We began new fieldwork in 2017. The goals of the new work of the Ancient Egyptian Heritage and Archeology Fund at Deir e-Ballas are twofold, to publish Reisners’ original finds along with our new research at the site to both elucidate Reisner’s excavations and to protect and preserve the ancient monuments. Since it is also one of the few settlement sites to be extensively cleared, Deir el-Ballas also provides important insights into the daily life of the ancient Egyptians. In many ways a precursor to Tell el-Amarna, the capital of Akhenatan and Nefertiti, Deir el-Ballas seems to have set the pattern for these royal cities of the New Kingdom. 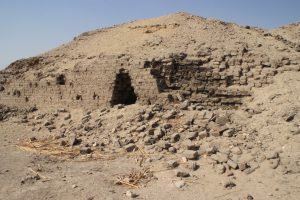 At the center of the site is a monumental structure known as the North Palace that must have served as the campaign palace for the Kings Seqenenre, Kamose, and Ahmose. Like the later royal cities, there is a series of houses, including large villas for the royal court, a workmen’s settlement with associated cult chapels, storage magazines, and cemeteries. At the southern end of the site is a massive watchtower known as the “South Palace,” which gives a commanding view of the Nile and the territory around. It would seem to be from here that the Theban fleet was marshaled and sailed north to victory. 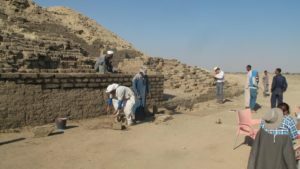 The Ancient Egyptian Heritage and Archaeology Fund in conjunction with the American University in Cairo conducted a season of survey, cleaning, recording and restoration to protect and restore the important Palace-City of Sekhenenre and Ahmose at Deir el-Ballas from December 11 – 31, 2018. For the second season continued the survey work and restoration was begun on the “South Palace,” which had suffered from looters emptying out some of the casemate foundations and digging holes in the façade of the eastern wall of the platform, which has caused significant parts of the brick facing to collapse. This was filled in with modern, unbaked mud bricks stamped with an AUC logo and made in the same size as the other “South Palace “bricks [ca. 47 x 22 x 12 cm.]. At the North Palace, we cleaned up modern trash and debris littering the area and also surveyed the area in order to determine where best to build a protective wall around the Palace. Many of the ancient houses, the workmen’s village and associated chapels appear to have been entirely destroyed. We hope to determine where we might have a boundary to keep the modern cemetery from encroaching further into the ancient settlement. Our initial season conducted from January 10th to the 25th 2017 consisted of a theodolite survey, photography and planning to assess the condition of the site, the perimeter of the antiquities area and possible ways to protect and conserve the site. For the proposed future season of January 7-30, 2018 based on our overview of the previous season we would propose the following measures. At the South Palace looters digging holes at the base of the eastern façade of the stair platform has collapsed much of the wall. We would intend to replace the tumbled brick and secure the façade to prevent further deterioration and restore its original appearance. We would also fill in the casemates in the North Palace with clean sand to prevent collapse, deposition of trash and for safety concerns. We would seek to delimit the palace with new mud brick to define the archaeological area and clean it of trash. We would also seek to define and delimit with brick and or fencing extant archaeological remains in the area of the North Palace and in the stretch between the North and South Palaces. Lastly, we would add signage in Arabic and English to mark the major monuments and attempt to engage the local population in understating the importance of the monuments and their preservation. We look forward to working with the Egyptian Government’s Antiquities Ministry to safeguard this important site. ©2018 The Ancient Egypt Heritage and Archaeology. All Rights Reserved.